Popular club owner, Pretty Mike, is in the news again for another controversial reason. A few weeks ago, he decided to get himself a new pet and opted for a python. 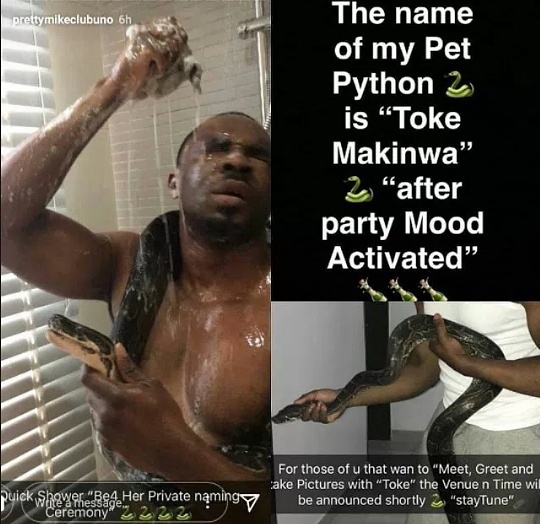 After he acquired the snake, he took pictures of himself bathing with the reptile and also announced the name of the snake as Toke Makinwa. Many people took to his Instagram page to express their displeasure over the naming of the snake after a popular on-air personality and author. 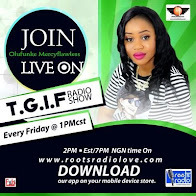 However, in a chat with Saturday Beats, the popular socialite explained why he named the python, Toke Makinwa. “I named my pet snake Toke Makinwa because every Toke Makinwa is a snake. I named my pet python Toke Makinwa because I believe that she is not just a snake, but a huge snake – a python. And this is based on some things she talks about and writes on. There is a lot of cunningness and sneakiness to her. “She is not your normal lady and it is time to let people know. Some people attacked me that why would I name my snake after her but the truth is that the name is patented and she does not have the right to the name. She is not the only Toke Makinwa in the world; there are so many of them. She might be the more popular one but right now, my pet python is even more popular than her. “The truth is that we did not have any issue before I named the snake Toke Makinwa. She is my very good friend and I have seen her on some occasions. She understands that this is pure entertainment and as entertainers, we could diss ourselves in public but because we are entertainers, we know that when we are behind closed doors, we would talk to each other and settle any issue. He shared his reason for acquiring a python as a pet in the first place instead of a dog or a cat like some other people would have opted for. He said, “I think that a lot of people do not understand the python. In our culture, we were taught that snakes are poisonous and dangerous but in the snake family, python is the only snake that has no venom, it is not poisonous. This is something I would like to educate people about. With the level of education in the country, we are still ignorant about certain things. “I take a bath with the snake because it is my pet. I am sure a person is allowed to do whatever he likes with his pet. I take showers regularly with my pet; we eat together and go out together. It is my pet and I should not treat it lesser than I would do my pet puppy or cat. I feel like if I do that, I am discriminating against it (sic),” he said. 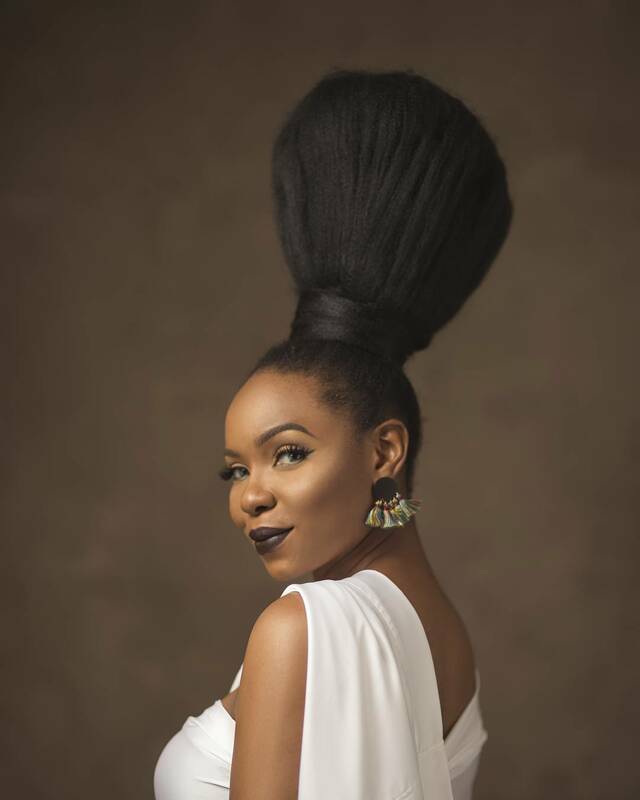 However, when Saturday Beats reached out to Toke Makinwa for her view on the issue, the OAP said she was about to begin a seminar and asked Saturday Beats to call back. After about an hour, Saturday Beats reached out to her but she did not pick her calls neither did she reply the text message sent to her.